If you have diabetes, your first thought might be about sugar, not salt. But salt intake may be just as important for your health. 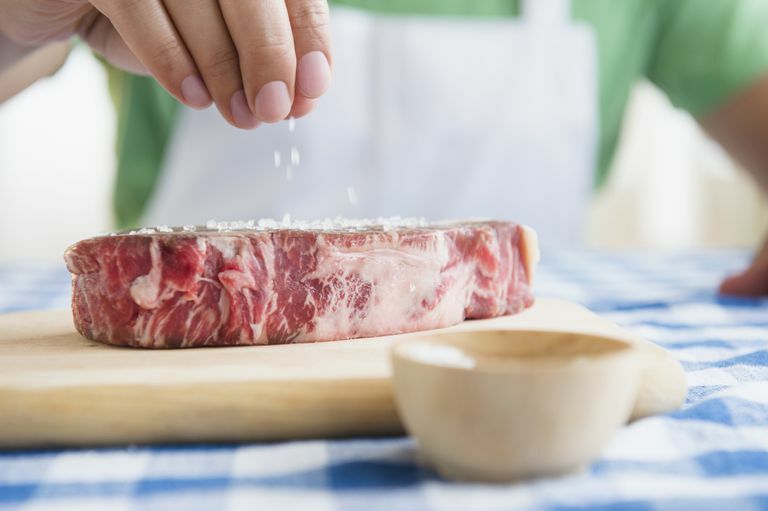 Here's why you need to watch your salt intake and how to do that with diabetes. Why Should You Care About Salt? Salt is one of the main ways we get sodium in our diet. A high sodium intake can raise your blood pressure, which in turn raises your risk of heart disease and stroke – two conditions that are more common when you have type 2 diabetes. The American Diabetes Association and the USDA both recommend an upper limit of 2,300 mg of sodium per day (that's the amount of sodium in a teaspoon of salt). To put that number in perspective, consider this: the average American takes in 3,440 mg of sodium each day. For people with high blood pressure, or who are elderly, the recommendation is more stringent: 1,500 mg per day. If you're like most people, 75% of the sodium in your diet comes from restaurant and processed foods. Packaged and prepared foods tend to be laden with salt (it's a preservative and helps food taste good). Restaurant food is also notoriously salty, whether you're eating at a fast food restaurant or something fancier. So the big overall tip is to eat out less often and to eat more fresh, unprocessed foods at home. Packaged foods: If you're buying prepared broths and canned foods, look for "low-sodium" or "no salt added"
Reduce your daily salt intake and take care of your heart.